Надувная лодка GRAND G580 имеет современный внешний вид и характерный фирменный дизайн GRAND серии Golden Line. Традиционно особое внимание уделено эргономике, оптимальному соотношению вместимости пассажиров (идеально спроектированное пространство на 12 пассажиров) и их комфорта. Эта модель уже показала отличные результаты в плане мореходности и грузоподъемности, что достигается за счет высокой килеватости днища типа глубокое-V, эффектных обводов и продуманной конструкции лодки в целом. 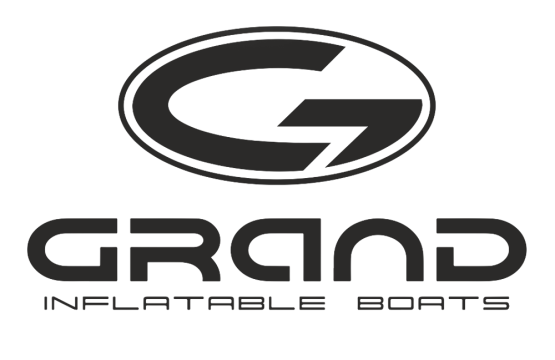 GRAND MARINE Company was founded in 2001 as a manufacturer of inflatable boats in Kharkov, Ukraine. And at the right moment it has become the world’s leading manufacturer of inflatable boats of class RIB (inflatable boats with a hard bottom), distributed throughout the world and well known for their exceptional quality, design, construction and performance. GRAND makes and offers boat models that meet the highest standards and are associated with elegance, reliability and quality. Purchasing any model of GRAND boats, you buy not just water vehicle, but positive emotions and pleasure from relaxing with family and friends in nature, comfort from being in a boat, enjoying easy handling, be it smooth movements on the water surface or steep turn on the waves . The company’s product line is represented by more than 50 different models of boats with a choice of various additional options and accessories. You can choose the color of the cylinders and fiberglass, the material and colors of the upholstery to your taste, thereby creating your unique boat, assembling it as a designer, remembering childhood and children’s desires. © 2011 – 2019 LTD "GERMANTON". All rights reserved. subject to the written consent of "GERMANTON"
In 10 seconds you will be redirected back to the site. If you do not want to wait, press the button.